Finally! 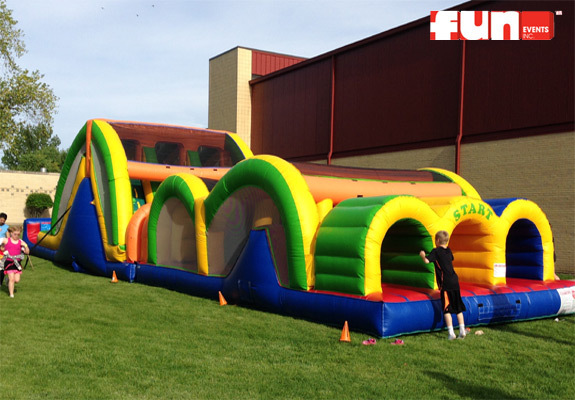 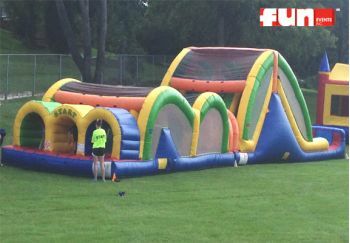 An Inflatable Obstacle Course where up to 3 players can simultaneously race against each other at a time. Challengers rush into the tunnel entrance, make their way around a variety of pillars and horizontal tubes, and rush past inflatable barriers. 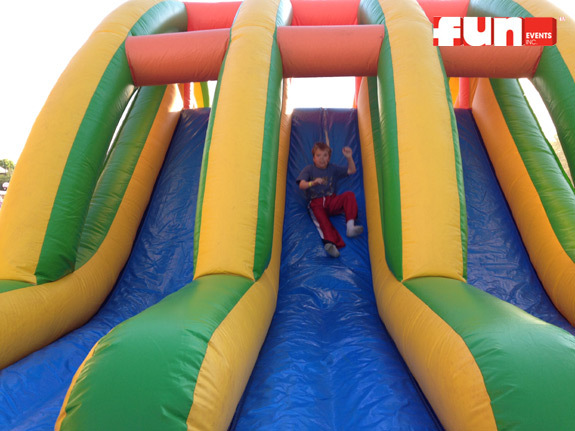 Once escaping the challenging obstacles, participants make their way to the top of the rock wall staircase, and speed to the exit by sliding down the fun inflatable slide.